My research explores normal and impaired reading, spelling, writing, and visual perception. In cognitive neuropsychological studies of adults and children with brain damage or learning disabilities, we are using behavioral and functional neuroimaging methods to examine deficits in the early perceptual stages of reading (e.g., Schubert & McCloskey, 2014; Schubert, Reilhac, & McCloskey, 2018), and in the writing processes that translate knowledge of a word’s spelling into the movements necessary to write the word (e.g., McCloskey, Reilhac, & Schubert, 2018). Our aims are to gain insight into normal mental representations and processes and how these are instantiated in the brain, as well as to advance our understanding of cognitive deficits and how they may be treated. We are also exploring the representations and processes underlying reading and writing through behavioral studies of neurotypical participants (e.g., Wong, Wadee, Ellenblum, & McCloskey, 2018), and computational modeling. In the domain of visual perception, we are probing representations of object orientation and shape acquired through vision and touch. Here we exploit errors in recalling the orientations of objects to make inferences about the structure of shape and orientation representations (e.g., McCloskey, 2009; Gregory & McCloskey, 2010; Hatfield, McCloskey, & Park, 2016; Chaisilprungraung, German, & McCloskey, 2019). These studies use behavioral and functional neuroimaging methods, with participants including neurotypical adults and children, individuals with perceptual deficits, and congenitally blind adults. 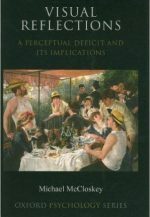 Finally, I am interested in foundational issues in cognitive science, including the rationale for adopting a representational/computational conception of the mind, the relationship between cognitive science and neuroscience, the rationale for using deficits as a basis for conclusions about normal cognition (e.g., McCloskey & Chaisilprungraung, 2017), and the role of simulation in cognitive science (e.g., McCloskey, 1991). McCloskey, M. (2009). Visual reflections: A perceptual deficit and its implications. New York: Oxford University Press. Rapp, B., & McCloskey, M. (Eds). (2018). Developmental dysgraphia. Routledge. Chaisilprungraung, T., German, J., & McCloskey, M. (2019). How are object shape axes defined? Evidence from mirror-image confusions. Journal of Experimental Psychology: Human Perception and Performance. McCloskey, M., Reilhac, C., & Schubert, T. (2018). A deficit in post-graphemic writing processes: Evidence for a graphomotor buffer. Cognitive Neuropsychology, 35, 430-457. Wong, K., Wadee, F., Ellenblum, G., & McCloskey, M. (2018). The devil's in the g-tails: Deficient letter-shape knowledge and awareness despite massive visual experience. Journal of Experimental Psychology: Human Perception and Performance, 44, 1324-1335. Schubert, T., Reilhac, C., & McCloskey, M. (2018). Knowledge about writing influences reading: Dynamic visual information about letter production facilitates letter identification. Cortex, 103, 302-315. McCloskey, M., & Chaisilprungraung, T. (2017). The value of cognitive neuropsychology: The case of vision research. Cognitive Neuropsychology, 34, 412-419. McCloskey, M., & Rapp, B. (2017). 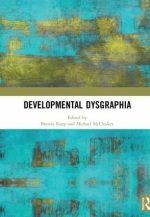 Developmental dysgraphia: An overview and framework for research. Cognitive Neuropsychology, 34, 65-82. Hepner, C., McCloskey, M., & Rapp, B. (2017). Do reading and spelling share orthographic representations? Evidence from developmental dysgraphia. Cognitive Neuropsychology, 34, 119-143. Hatfield, M., McCloskey, M., & Park, S. (2016). Neural representation of object orientation: A dissociation between MVPA and repetition suppression. Neuroimage, 139, 136-148. McCloskey, M., Fischer-Baum, S., & Schubert, T. (2014). Representation of letter position in single-word reading: Evidence from acquired dyslexia. Cognitive Neuropsychology, 30, 396-428. Schubert, T., & McCloskey, M. (2014). Pre-lexical representations and processes in reading: Evidence from acquired dyslexia. Cognitive Neuropsychology, 30, 360-395. McCloskey, M., & Schubert, T. (2014). Shared versus separate processes for letter and digit identification. Cognitive Neuropsychology, 31, 437-460. Gregory, E., Landau, B., & McCloskey, M. (2011). Representation of Object Orientation in Children: Evidence from Mirror-Image Confusions. Visual Cognition, 19, 1035-1062. Fischer-Baum, S., Charny, J., & McCloskey, M. (2011). Both-edges representation of letter position in reading. Psychonomic Bulletin and Review, 18, 1083-1089. Fischer-Baum, S., McCloskey, M., & Rapp, B. (2010). Representation of letter position in spelling: Evidence from acquired dysgraphia. Cognition, 115, 466-490. Gregory, E., & McCloskey, M. (2010). Mirror-image confusions: Implications for representation and processing of object orientation. Cognition, 116, 110-129. Valtonen, J., Dilks, D. D., & McCloskey, M. (2008). Cognitive representation of orientation: A case study. Cortex, 44, 1171-1181. McCloskey, M., Macaruso, P., & Rapp, B. (2006). Grapheme-to-lexeme feedback in the spelling system: Evidence from a dysgraphic patient. Cognitive Neuropsychology, 23, 278-307. McCloskey, M., Valtonen, J., & Sherman, J. (2006). Representing orientation: A coordinate-system hypothesis, and evidence from developmental deficits. Cognitive Neuropsychology, 23, 680-713. McCloskey, M. (1991). 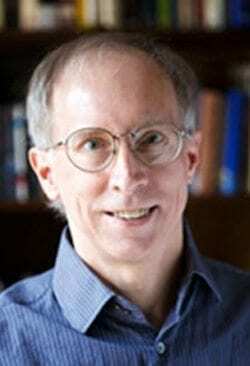 Networks and theories: The place of connectionism in cognitive science. Psychological Science, 2, 387-395.